Dr. Christine Blasey Ford spoke her truth with words that were eloquent and at the same time powerful. Her words resonate with their beauty and strength. Words. Powerful. In our own lives we all have this strength. We have at our disposal a power that can change lives, encourage success, guide those who need it, make or break relationships, and create a lasting impression of us as people. That power is the power of words. All of us use words in everyday conversation, that’s the human way of communication. We talk. 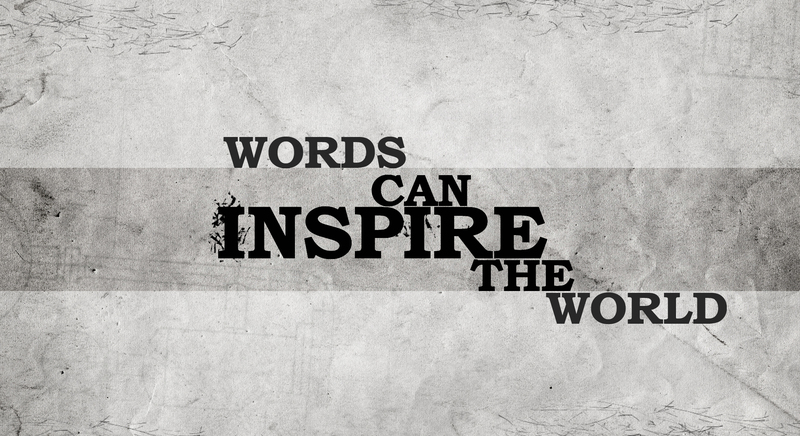 Words are more powerful than anything on earth. But do we ever seriously think about what we’re saying to another person or how we’re saying it? Tone of voice, body language, all play into what we communicate. How do our words impact our relationships with others? The words you speak to others will determine the feedback you get from them. The ancients believed that the spoken word contained the power and authority of the Gods. In later centuries, any person who could actually write words was elevated almost to the level of the Divine. Words dictated how life should be lived, what you could or couldn’t do—they could be used for good or for harm. There were spells, there were prayers. The power of words was awesome. That statement is profound in its simplicity. The meaning is clear; if you think you can’t, chances are good that you won’t. The power of words is psychological. But words are sometimes used as sharp, barbed weapons too. A child who is told he or she is ‘bad’ believes it and may live up to that statement. The power of cruel words can damage relationships as well. Said in anger, they still have the power to crush and destroy a person’s self-esteem. Writers use words to entertain, to make us think, and to inspire. Like a beautiful mosaic, words fill in the corners and crevices of our lives making us laugh, cry and ponder. The words you speak can have a profound effect on the people they reach. Do we place too much ‘power’ on words, spoken or written? Perhaps actions are more suited to our modern lives? I cannot believe this is true, for while we surely need acts of kindness, acts of love, we need words that convey those as well. Words convey more than actions because they unite us. Words bring us together in a way no action can. This can be seen in the eyes of someone learning to read. A door to a new world has been opened before them and words are the key that has unlocked it.